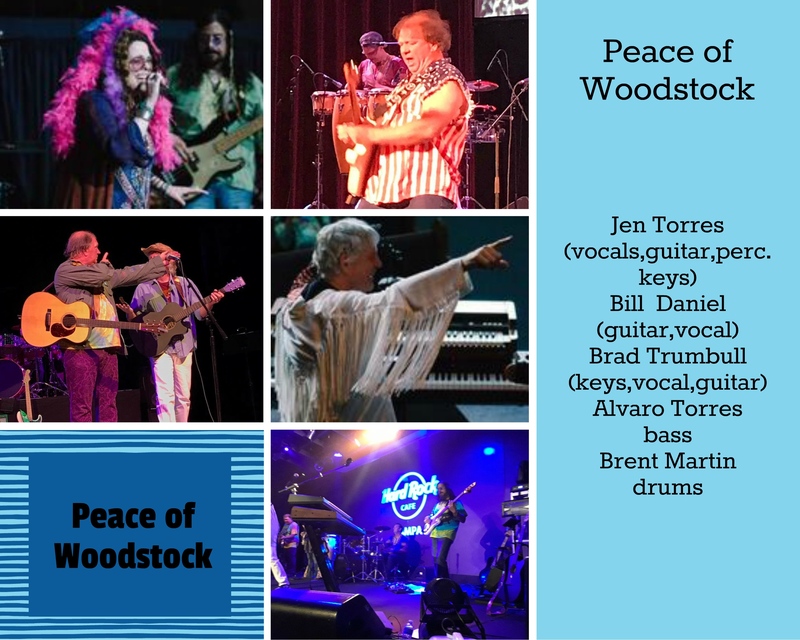 The Peace of Woodstock show is a tribute to the Woodstock Festival and to the great music of the bands that performed there! Thank You so much for your kind comments! We grew up with this music so from a band member’s musical perspective, Our show is a heartfelt journey! Looks like you guys (& gal) have got a groovy thing going in Florida! Have any of you had a chance to visit the Museum at Bethel Woods? It’s built on the hill overlooking the original festival site. I’m purchasing an acre of land just a mile away and working with the museum and the new casino/resort 15 miles away to implement a dedicated shuttle/tour bus before the 50th anniversary in 2019. Also the woman who owns Max Yasgur’s old house and barn is creating a campground on the property to accommodate an annual reunion. 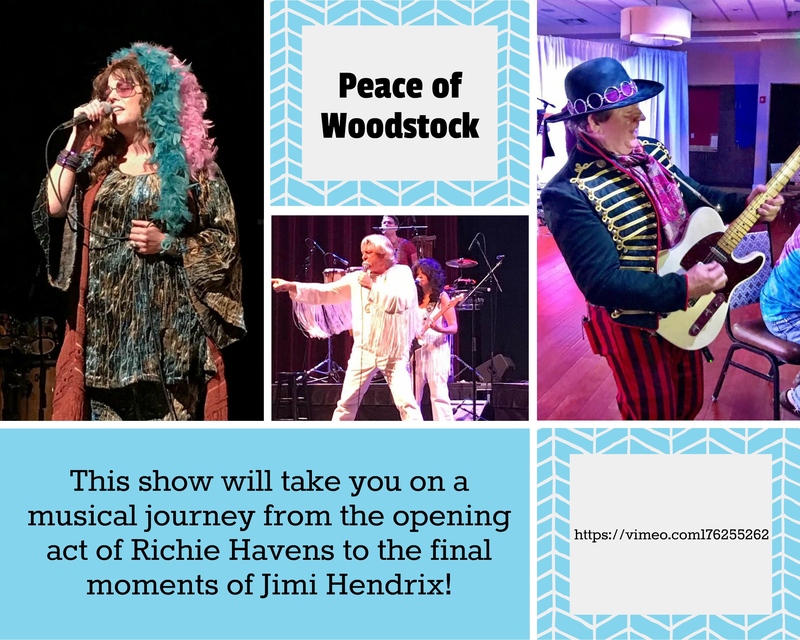 Thanks for liking my Experience Woodstock FB page. Good luck in the future! hope to meet you in the garden before too long (maybe 2019?)! Thank you for a wonderful concert under the most difficult of circumstances. It couldn’t have been easy as I know your thoughts were with Scott. My prayers are with him hoping he is doing ok.
Just checking to see how your bass player is doing and wishing him well! We truly enjoyed your show, thank you for a wonderful time. Nam Myoho Renge Kyo! 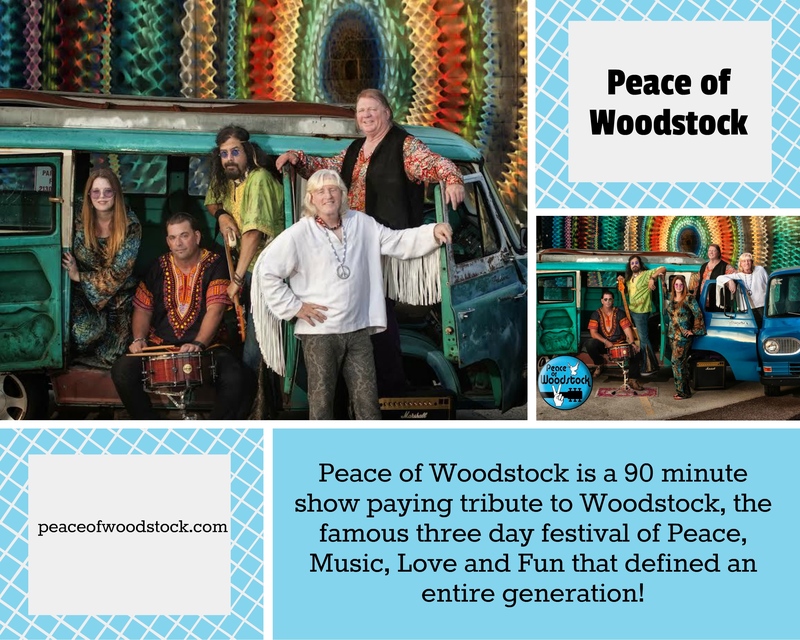 http://peaceofwoodstock.com owner? Is it your phone number listed here http://posting-media.com ? We saw your concert at the Port Charlotte Convention Center, all I can say is AWESOME!!!! What a great time we had listening to this group. The only regret we have is that you will not be playing in our area anytime soon. I was told at the concert that I could order shirts on line but I fail to see where. 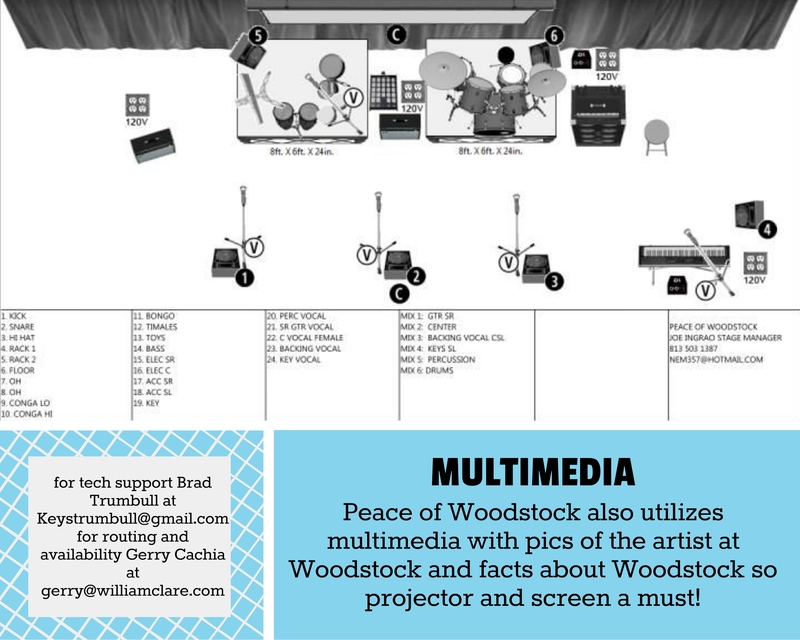 Would like notifications of future gigs. U R great. Saw your performance at Top of The World Cultural Center on 9/16/17. We really enjoyed the show and the fantastic group of performers, as well as the fantastic show. Peace. thank you Theresa, we had a great time!